Happy Halloween from the MAC Lab! Four current employees and one alumni do the monster mash! Try JibJab Sendables® eCards today! This section is special made for the Mac Lab’s Audio / Video team. 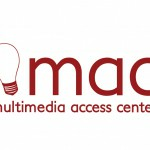 Feel free to post anything Audio / Video related to the Mac Lab.